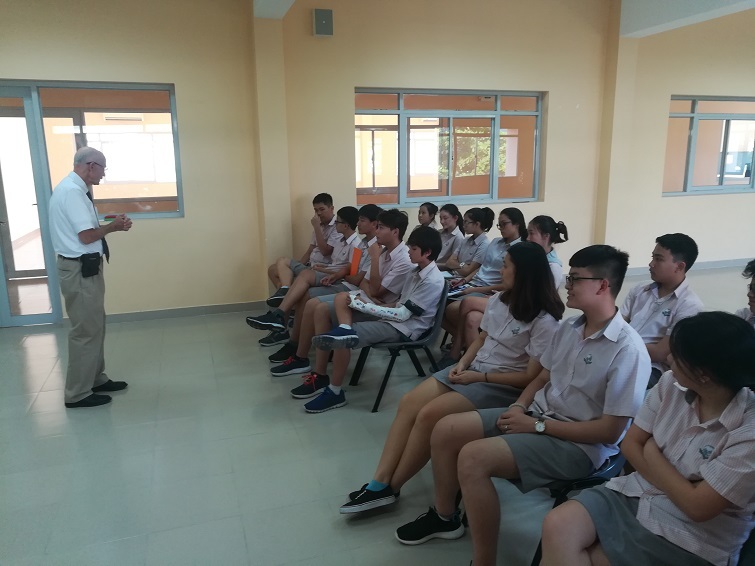 Friday, March 23rd marked the first day that career/university counselor Dr. Roy Douthitt visited SIS@ Vung Tau. 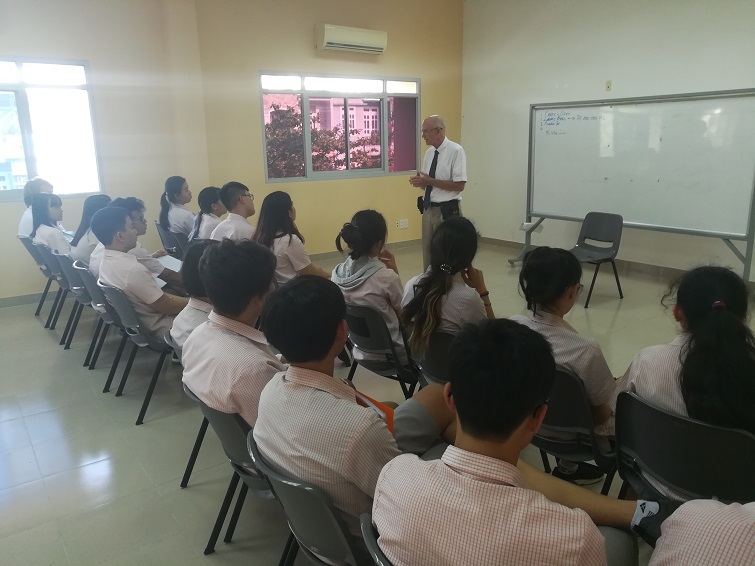 Dr. Roy has been assigned to be the part-time counselor here at SIS@ Vung Tau and this was the first time he was able to visit the Vung Tau campus. Dr. Roy spoke to all of the students in IGCSE 1 and IGCSE2 about their future education and possible career paths. He opened the floor to any and all questions from our students after introducing himself and telling everyone a bit about himself and his career path up to this point in his life. The students had many interesting questions and it was a learning experience for all of them. We look forward to meeting up with Dr. Roy next month.